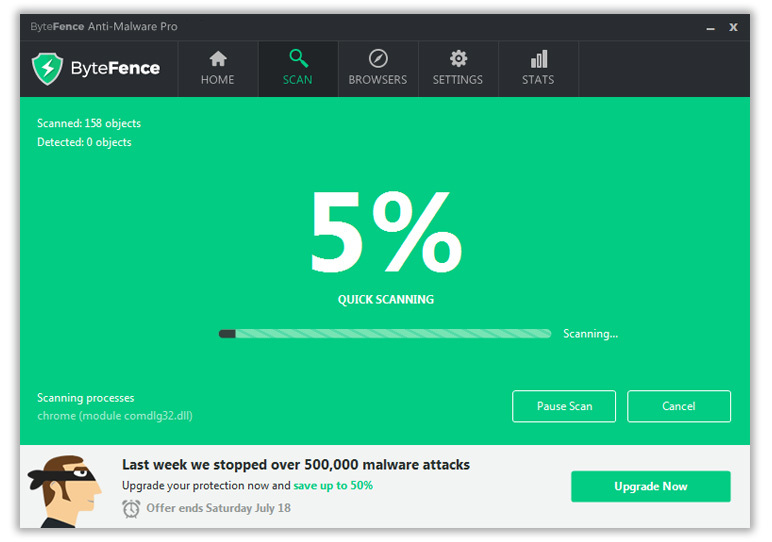 Description: ByteFence Anti-malware's cutting edge software detects and removes Trojans, Worms, Spyware, Crapware and other high risk malware. 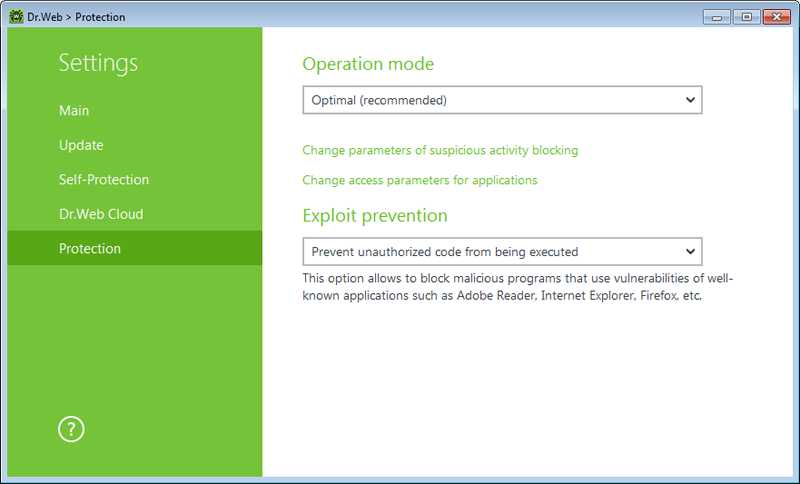 ByteFence is the ultimate protection against crapware and bundleware that sneak in potentially unwanted programs and ads. Description: Comodo Cloud antivirus is a free antivirus security solution for Windows that uses a powerful combination of real-time threat monitoring, auto-sandboxing and behavior analysis to immediately protect your computer from all known and unknown malware. Whether you are an IT novice or an experienced user, Comodo Cloud Antivirus makes it easy to implement the highest strength protection. Description: Comodo Internet Security provides comprehensive protection against viruses, spyware, hackers, root-kits, Trojans, and zero-day attacks for Windows based computers. The software features full Antivirus, a powerful network Firewall, Anti-Spyware, Host Intrusion Prevention, Auto-Sandbox and Behavior Analysis of unknown files. Join the more than 10 million PC users worldwide using this free, easy-to-install and configure suite. Description: CyberDefenderFREE is an all-free Internet security suite that finds infections other security software misses, offering protection from spyware, viruses, spam, phishing and Internet identity theft. CyberDefender?s patent-pending earlyNETWORK? detects and immunizes PCs against new virus attacks within just hours after discovery. No credit card required, CyberDefenderFREE includes non-intrusive ads. Download the best Internet security software! Description: Download a compact and fast anti-virus solution for PC. Antispyware and anti adware bases included. Multilevel protection of the system memory, file system all removable media against all types of viruses, worms, trojans, spyware, adware, dialers other malicious programs. Virus definitions automatic updates at hourly bases going up to twice per hour frequency at periods of high malware submissions. Description: Do you have anti-virus software installed on your computer, but still worry about its effectiveness? Run Dr.Web CureIt! (no need to install it) to quickly scan your computer and cure it of any malicious objects. Dr.Web CureIt is an indispensable tool for curing computers running MS Windows 8/7/Vista/XP/Server 2003/2008/2012 (32-/64-bit). 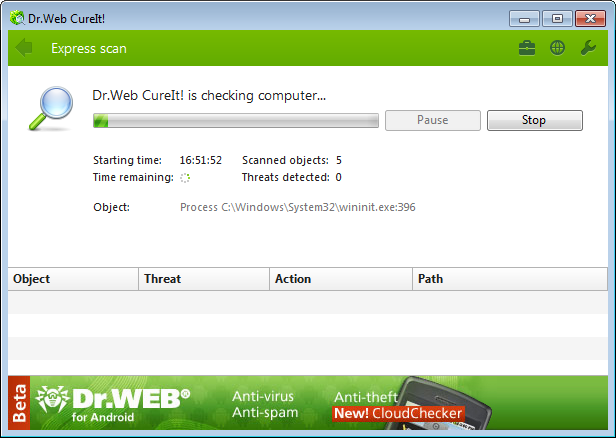 Dr.Web CureIt detects and neutralizes viruses, rootkits, Trojan horses, spyware, and other malware. Description: FREE antivirus and anti spyware scanner based on the Dr.Web best-of-breed engine. As hundreds new viruses appear and spread in hours around the world daily, CureIt! with the newest definitions to the virus bases is re-built several times every day. 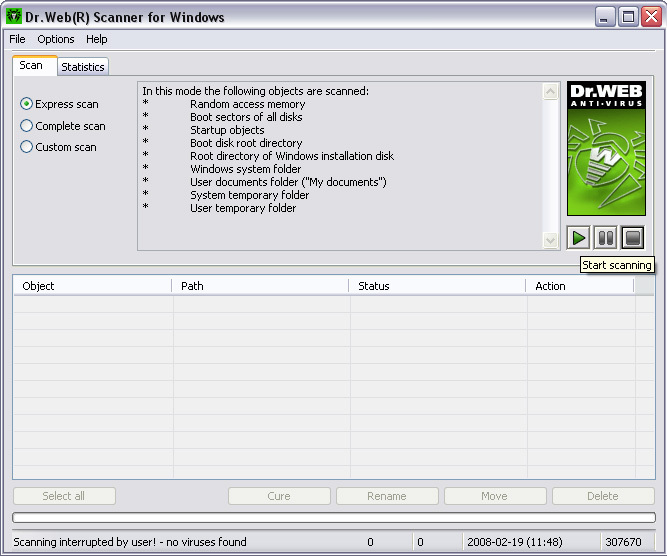 The utility will quickly scan and cure, if necessary, a computer operated by MS Windows 95OSR2/98/98SE/Me/NT4/2000/XP/2003/2003R2 without installation of the Dr.Web Anti-virus. 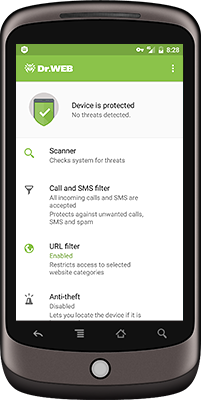 Description: Comprehensive protection for mobile devices from all types of malicious software used by fraudsters to commit cybercrimes. 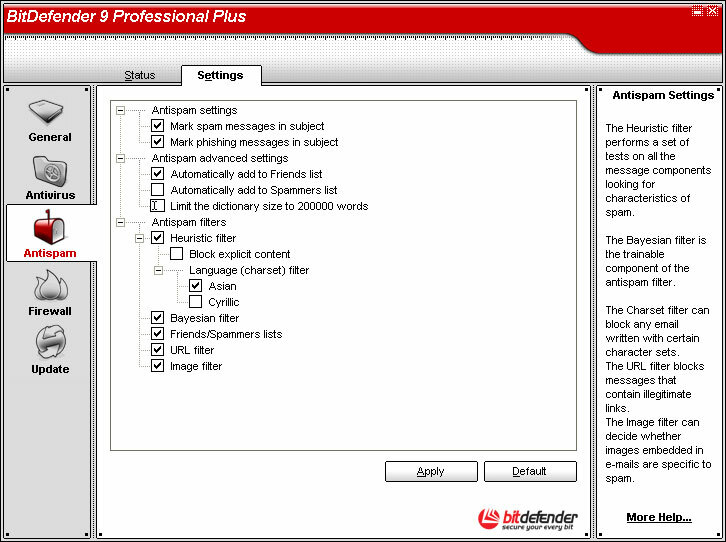 Protection components: anti-virus, anti-spam, anti-theft, firewall, URL filter, Security Auditor. The users of Dr.Web Security Space or Dr.Web Anti-virus are entitled to use Dr.Web for Android FREE OF CHARGE.